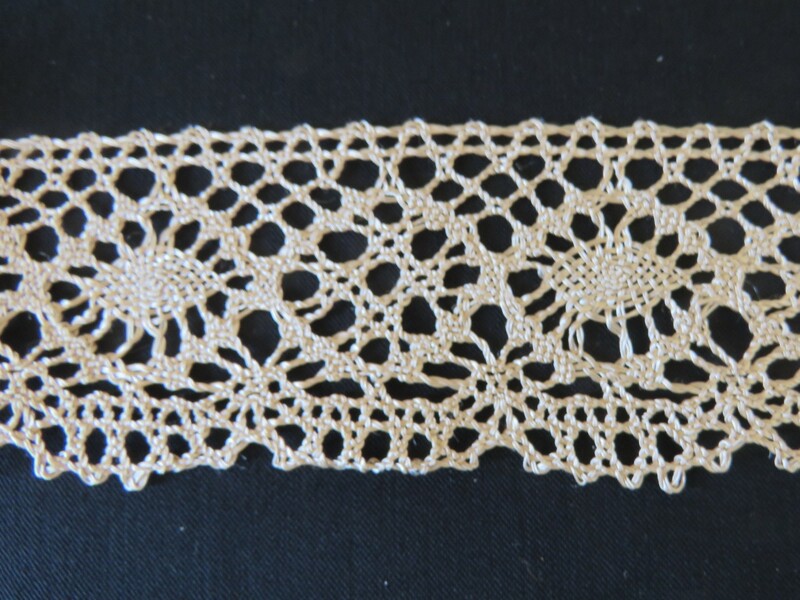 This vintage lace trim features a diamond pattern in the center area of the lace & a tiny scallop bottom edge. The vintage lace is unused. Vintage Lace Trim Measurement: 36" x 2". Color: Ecru. Material: Unknown. The vintage lace has a shiny look to it.